- Designed to fit Commanders WITHOUT factory fenders. If you have factory fenders and do not want to remove them prior to installation, additional hardware may be required. - Pictured Commander has a +6" long travel suspension kit with long travel fenders installed. The standard and extra coverage kits are not as wide. There is no better feeling then mud flying everywhere as you push your Can Am Commander or Commander Max to the extreme. At Side By Side Stuff, we want to give you the opportunity to keep your machine in tip top shape while you exercise your right to make a scene with your machine. Mud-Buster Fender Flares are a must have for those of you who aren't afraid to get a little dirty. 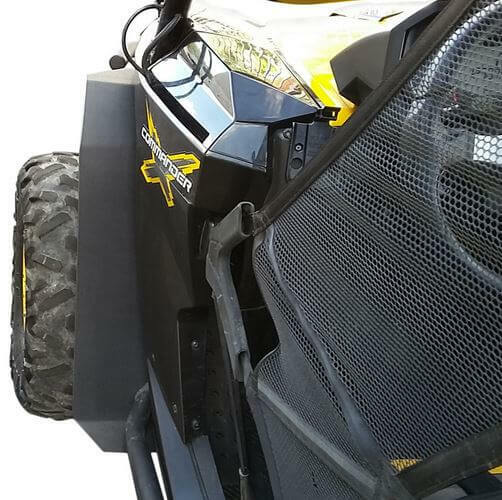 Start spending your time worrying about the next big ride and less about the consequences when you add these aftermarket fender flares! 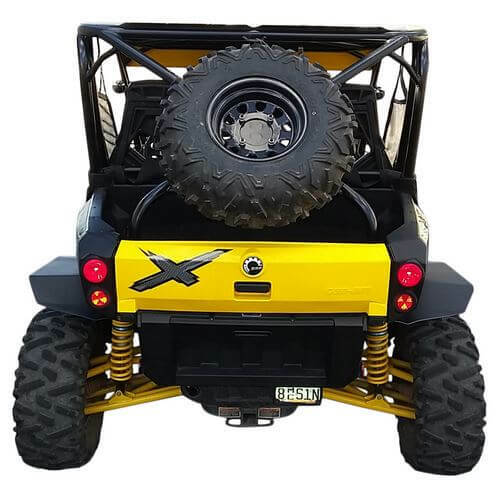 The Mud-Buster Fender Flares are textured on top and smooth on the bottom. 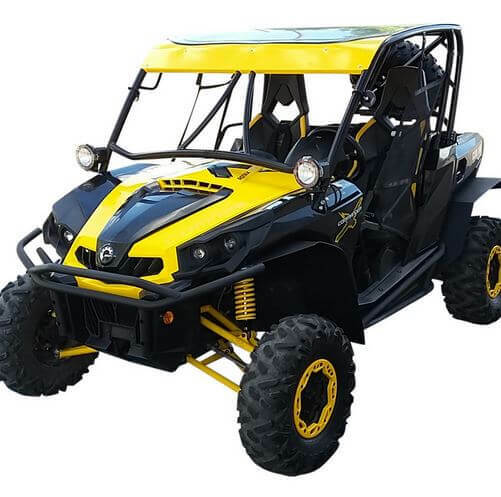 By using CNC cuts, you are getting a precise design, perfect for the fitment of your Can Am Commander. The HDPE material ensures that your fender flares are both durable and flexible. They don't just guard your machine, they can take a punch too! Mud-Buster's offers multiple kit features to cater to the needs of you and your machine. Get your fender flares today at sidebysidestuff.com!